11°C, light wind but dull grey. I rode Cyclocross Jake with MapMyRide+! Distance: 14.59mi, time: 01:22:24, pace: 5:39min/mi, speed: 10.62mi/h. Actually, it’s my 195th mile of the week, but so what? I have that empty feeling that comes after a week’s high milage. My tanks are empty. The ride this morning was nice enough, start at 6.50 and get home just after 8am. Surfaces are quite firm now as we get towards the end of May. 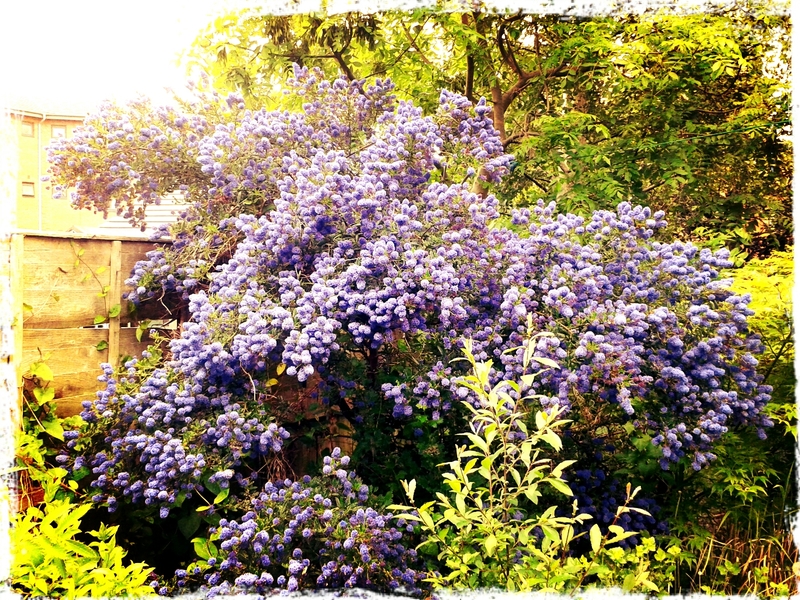 My Ceanothus in full bloom. I worry that its weight may topple the non-too strong trunk. If so, it would fall into the pond. It needs a stake. This entry was posted in cyclocross, Garden and tagged canal cyclocross. Bookmark the permalink.